We all love and use Dropbox in our daily life. With each day we store a lot of information there. From one side it is very useful, because we can get an access to the files whenever we need them from any device. From the other side, we need to be 100% sure about the cloud security in order to trust it with our important documents. So, is Dropbox safe enough? Let’s take a look at Dropbox security. As you may know, Dropbox encryption is done by using Secure Sockets Layer (SSL)/ Transport Layer Security (TLS) for data transfer from your computer to the cloud storage. Once the files are at rest, they are protected by 256-bit Advanced Encryption Standard (AES). However, if it is needed Dropbox can decrypt your files if it is for instance, requested by a law enforcement agency. So, how to provide additional Dropbox data security measures. Boxcryptor is a cross-platform software that supports a lot of well-known cloud storages. Nowadays it can fancy the list of 20 supported storages and Dropbox is in its row. Boxcryptor makes sure that all your files are encrypted in your favorite cloud storage. Sookasa is another software that cares about your cloud protection. The software protects your files both on the device and in the cloud. Sookasa offers couple of ways to share files no matter whether a person has the software or not. Only people with the authorized rights can get access to the files. Our next cloud encryption software is CloudMounter. 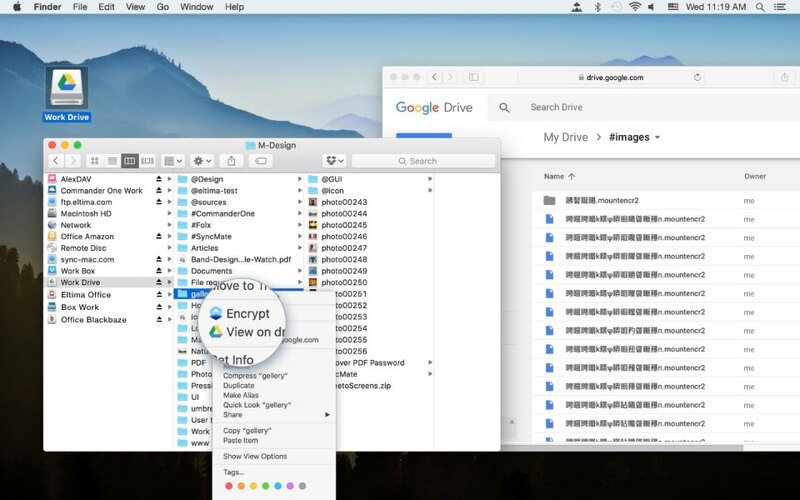 The software allows you to mount Dropbox as a local drive to your Mac and get an easy access to all the files stored there. With CloudMounter you will no longer worry about cloud storage security. The app makes your files in Dropbox unreadable for the unwanted people. The software uses the Advanced Encryption Standard (AES) with a 256-bit key length to ensure cloud data protection. Encryption could be turned on either when you first open CloudMounter or whenever you need it, as well as disabled, in the software preferences. If you need you can also enable encryption for a specific cloud storage or directory. More detailed information could be found by following this link. Now when you know about security in cloud computing such as Dropbox and how to make Dropbox even more secure online storage you can run your own tests and choose your favorite solution.